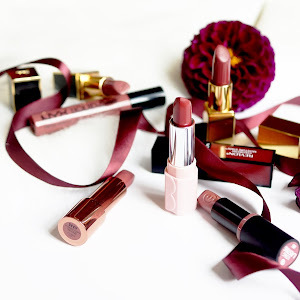 For those of you that haven't yet tried Purlisse, I urge you to read this post. 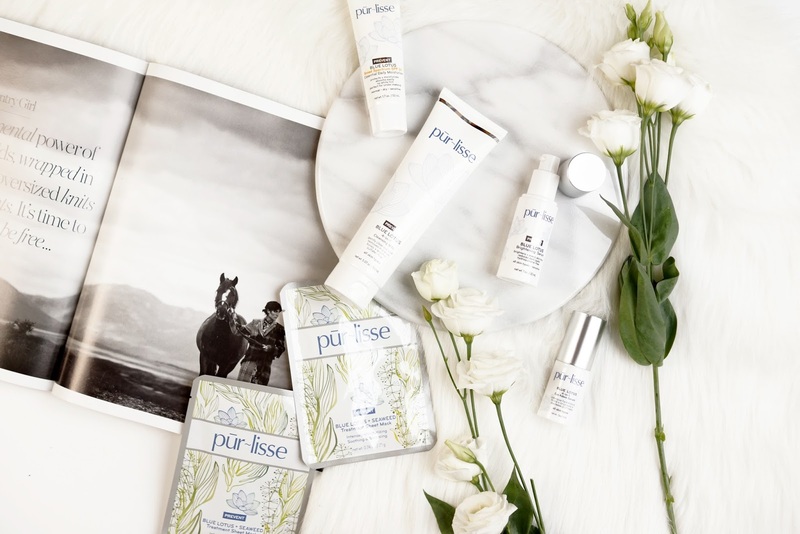 A bit of a coming together of Chinese and French beauty ideals, Purlisse aim to bring us safe but effective skincare, and when their lovely team contacted me re. trying out some of their stuff I could only but oblige. 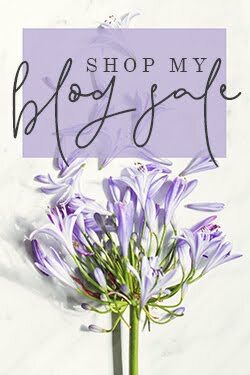 They were kind enough to let me choose some goodies too, and I've got everything from serums to SPF's to sheet masks to share - so let's jump in! I think this is the understated jewel in the crown for me. 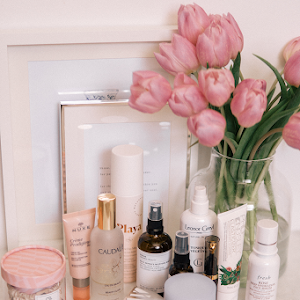 One of those basic numbers that aren't all glitz and gleam, that don't fight for your attention amongst your skincare collection, but that you find yourself missing when you forget to take them on your travels, and that you mindlessly repurchase again and again. This lightweight moisturiser feels moisturisng enough for my normal/combo skin without looking or feeling greasy, heavy or silicone-y. The smooth, slippery texture blends really well onto my skin, without leaving any hint of white cast, and my skin's got this great glow about it post application. 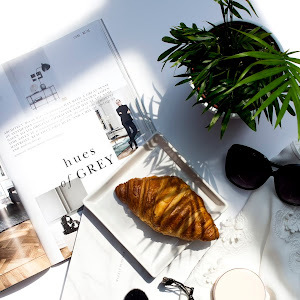 With both broad spectrum sun protection and antioxidants, this combines my daily want for protection against free radicals and sun damage - the perfect one-and-done for a) the lazy girl like me, b) travellers/weekenders. Sunscreens: Avobenzone 2.00% / Homosalate 8.00% / Octinoxate 7.50% / Octisalate 5.00% / Oxybenzone 5.00%. This gentle cleanser has a texture somewhere between a cream and gel. 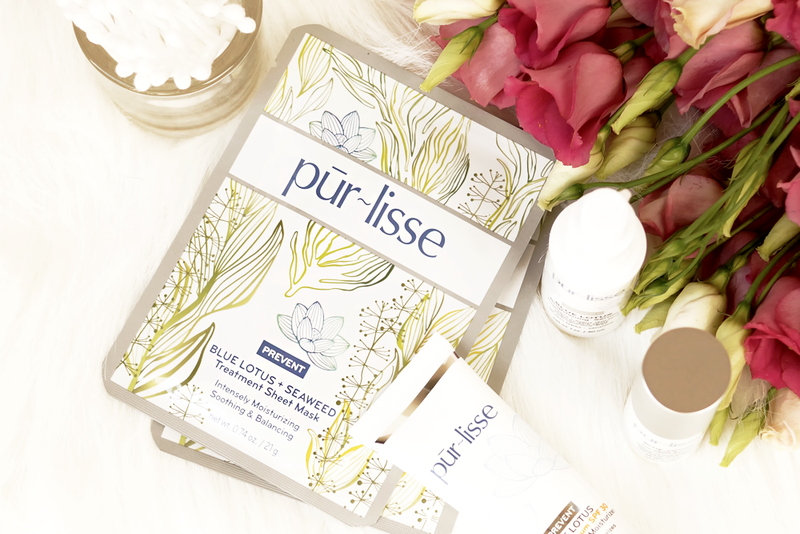 Enriched with soy, oat and green tea, I'm giving Pur-lisse double thumbs up for formulating it so gently - it's evident on the skin that this is lovely and soothing. Whilst it claims to be a one-and-done cleanser, I think this might only be true if you use makeup with.. let's say a light hand. I'm not against that though, I love my Grown Alchemist Gentle Gel and Oskia Renaissance cleansers and they're both very much second cleansers for me. During and after using this, my skin feels soothed, plump and happy - none of the stripped sensations of cleansers we used to use, thinking they were good (I'm looking at you Clinique 1-2-3 step). 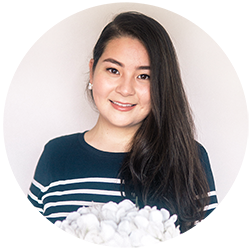 You get a lot of product with the Purlisse cleanser too which I like as I love to be liberal with my cleansers, and it comes in a nice, big squeezy tube which I think is excellently practical packaging. Water (Aqua), Disodium Cocoamphodiacetate, Acrylates Copolymer, Neopentyl Glycol Dicaprylate/Dicaprate, Tridecyl Stearate, Cocamidopropyl Betaine, Polysorbate 80, C12-15 Alkyl Benzoate, Hydrolyzed Soy Protein, Hydrolyzed Lupine Protein Octenylsuccinate, Alaria Esculenta Extract, Butylene Glycol, Avena Sativa (Oat) Kernel Extract, Camellia Sinensis Leaf Extract, Nymphaea Coerulea Flower Extract, Methyl Gluceth-20, PEG-7 Glyceryl Cocoate, Glycerin, Dipotassium Glycyrrhizate, Laureth-4, Tridecyl Trimellitate, Carbomer, Aminomethyl Propanol, Disodium EDTA, Caprylyl Glycol, Phenoxyethanol, Chlorphenesin, Limonene, Citrus Medica Limonum (Lemon) Peel Oil, Citrus Aurantium Dulcis (Orange) Oil, Citrus Aurantium Bergamia (Bergamot) Fruit Oil, Pelargonium Graveolens Flower Oil, Cymbopogon Martini Oil, Citrus Aurantifolia (Lime) Oil, Juniperus Mexicana Oil, Tagetes Minuta Flower Oil, Michelia Alba Flower Oil. My sheet mask collection is growing exponentially but I'm happy to accommodate the Purlisse masks (it's a tough life right?) 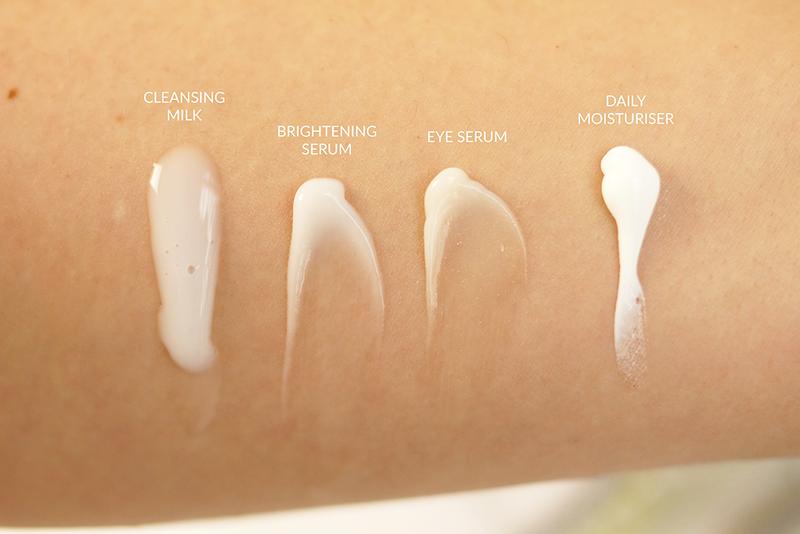 which claim to soothe, balance, hydrate and brighten. The fabric is slightly on the thick side, although they adhere well to the face (don't be afraid to tailor some strategic slits should you need it to fit better). I've been to a Korean spa where they wrapped you up in seaweed and I came out feeling born anew so thought these masks are something I clearly need to try. Laminaria Japonica seaweed is one preferred for it's positive effects on skin, capable of reducing transepidermal water loss and eliminating toxins, often reserved for good quality skincare. 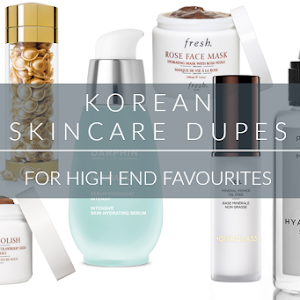 I just can't say that these top Whamisa/Blossom Jeju for me but they're very good - my skin felt really calm and hydrated after just the one use, making it a great one for before makeup. I find that eye creams are a tough category of skincare for me. 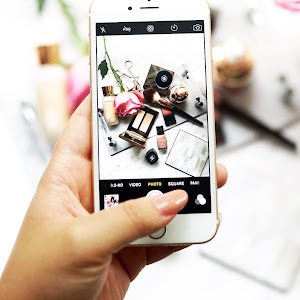 Some I find too drying, others I find too moisturising and leave that slick, unattractive shine below my eyes (because I wanted my dark circles to be highlighted and shiny..) and then there are those that seemingly do nothing at all. 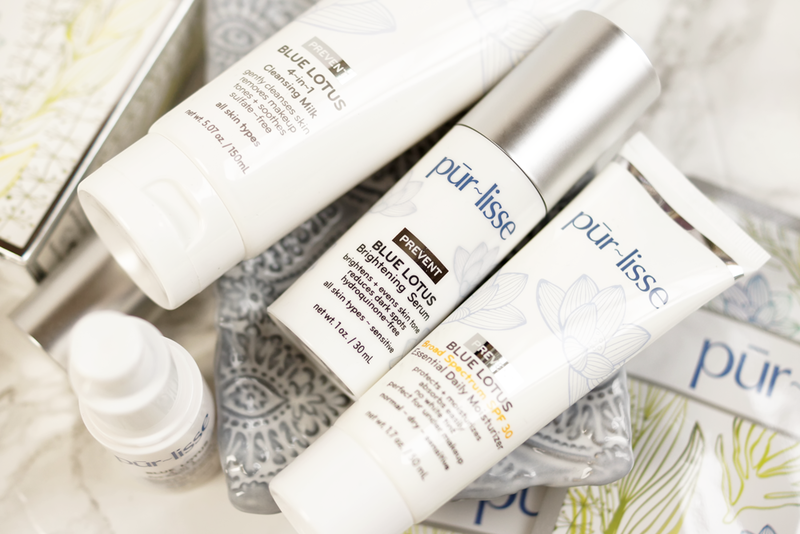 The Purlisse seems to fall somewhere in the middle, with the added benefits of antioxidants, depuffing agents and a number of peptides for long term firming and anti-wrinkle benefits. 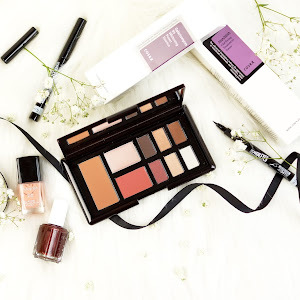 I initially wasn't overenthused about the slippy, silicone feel of this but in practise it seems to fill in fine lines and make concealer apply and look much better, and the bulk of the ingredients definitely make me want to reach for this. My only slight criticism is of the fine gold shimmer/glitter in this formula - although it's only noticeable should I look closely at my face so it's something I'm happy to overlook. Considering Purlisse seem to be known for their natural approach to bright skin, this serum should be their stand out product. And I've got to say I'm impressed. There's all sorts to commend in this formula - a stabilised form of vitamin C, proteins and skin fortifying ingredients, moisturisers/hydrators like avocado oil, vitamin E, sodium hyaluronate and squalane, antioxidants and plant extracts, and my old-fashioned, brightening favourite, Alpha-Arbutin - it's so nice to see this again! 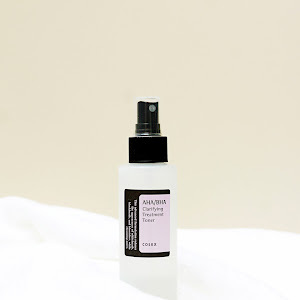 A milky serum, this sheers out completely and feels lovely and light on the skin - I think it'd be perfectly suitable for oilier skins and a great layering piece for those with dry skin. 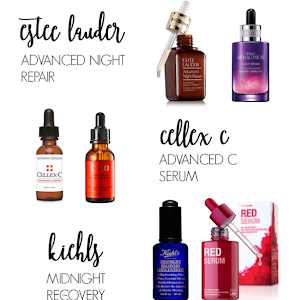 I've already noticed an overall bright look to my complexion after a few weeks and I'm actually pretty hopeful to see results on my hyperpigmentation - this could be a good, more low-maintenance alternative to a vitamin C serum? Water (Aqua), Caprylic/Capric Triglyceride, Diglycerin, Cetearyl Alcohol, Dimethicone, Squalane, Trimethylpentanediol/Adipic Acid Copolymer, Tocopheryl Acetate, Persea Gratissima (Avocado) Oil, Sodium Hyaluronate, Butylene Glycol, Melia Azadirachta Leaf Extract, Hydrolyzed Prunus Domestica, Hydrolyzed Lupine Protein Octenylsuccinate, Alaria Esculenta Extract, Hydrolyzed Soy Protein, Camellia Sinensis Leaf Extract, Nymphaea Coerulea Flower Extract, Biotin, Alpha-Arbutin, Dipotassium Glycyrrhizate, Magnesium Ascorbyl Phosphate, Panthenol, Glycerin, Glycereth-26, Dicetyl Phosphate, Ceteth-10 Phosphate, Cetyl Alcohol, Sclerotium Gum, Aminomethyl Propanol, Disodium EDTA, Caprylyl Glycol, Chlorphenesin, Phenoxyethanol, Geraniol, Limonene, Citrus Medica Limonum (Lemon) Peel Oil, Citrus Aurantium Dulcis (Orange) Oil, Citrus Aurantium Bergamia (Bergamot) Fruit Oil, Pelargonium Graveolens Flower Oil, Cymbopogon Martini Oil, Citrus Aurantifolia (Lime) Oil, Juniperus Mexicana Oil, Tagetes Minuta Flower Oil, Michelia Alba Flower Oil. It's lovely to find a brand that seems so consistent. 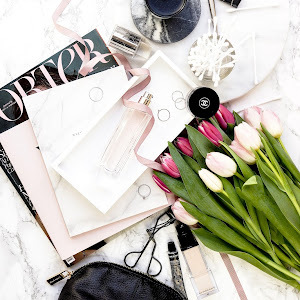 I tried a fair few products and none were sub-par, which makes me feel confident in the brand - I'd love to try their BB cream next which I've heard great things about from other bloggers! 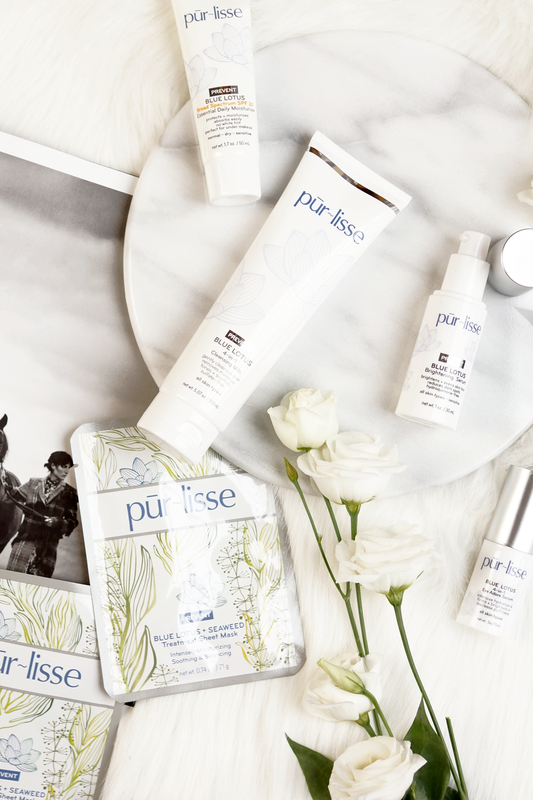 Have you tried Purlisse skincare? I've never tried anything from this line but I totally have to! It's sounds so awesome. the moisturizer and brightening serum made me interested! and definitely feeling you in eye serum. who would want an oily looking undereyes? damn i hate it everytime any eye serum does that! Oooh they sound so good! Love the packaging too!